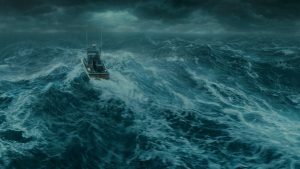 If you are a George Clooney fan you have probably seen the movie, “The Perfect Storm.” The movie is based on a 1991 real life drama about a sword fishing boat the Andrea Gail. To make a long story short the plot is about the crews attempt to leave their usual fishing grounds looking to improve their luck. Unfortunately multiple circumstances align causing the demise of the captain, crew and vessel. It’s become the perfect storm now for the metrology industry. The United States has truly entered the global market for manufacturing. A couple of decades ago, there were an abundance of Metrologists who made their living and devoted their lives to understanding and performing measurement. Now, not unlike the tool and die industry, much of that expertise and dedication has retired or been forced out of companies which no longer see metrology as a priority for their organizations. If that scenario isn’t bleak enough, just try and find a school anymore that teaches the science of metrology. There are only a few universities in the United States that offer a program. The engineering schools only teach aspects of metrology to engineering students. Even the vocational schools who use to teach people how to work in our industry are gone. Like a Wall Street Journal article mentioned earlier this year – the skilled trades emphasis at colleges has been replaced by students who get liberal arts degrees and upon graduation are fighting for jobs as baristas. This is a national problem. So as a result of this lack of training, what we have become is a self-taught industry where people like myself have become the last generation to pass our knowledge to the next. Our industry is dying and we are the last of the gatekeepers. There are other reasons for this. It’s extremely hard to promote an expertise an industry when it has become so apparent in the last 20 years that quality for many is an afterthought. Quality is achieved with good products made to designed specifications by people that know how to properly measure to assure the design intent. Global competition in Manufacturing has magnified the problem. In order for US-based companies to compete in world markets, the overall cost of their products have to be reduced. The question becomes, “How can you reduce your cost when you face higher wages, health care increases and confront tighter EPA restrictions relative to your overseas competition?” It isn’t any easy task. One of the few areas a manufacturer has immediate and direct control is wages. Typically more qualified Metrologists make higher wages that less qualified Metrologists. Unfortunately when companies cut costs, many times they force out the higher paid positions. We have all seen it happen. The less trained work force is kept and the highly trained work force is let go. It is a tricky balance to achieve without reducing the quality of your product. The end result is that you have to compete in order to stay in business. However If quality is to be maintained the less qualified work force needs to be trained in measurement. So, who is going to train them? In the last decade I have visited many companies that no longer have a quality department. The story is always the same. First you see that they no longer have a receptionist. Next there is a reduction in staff. However the remaining staff works twice as many hours to maintain the required output. The company reorganizes to do whatever it can to maintain profitability. The companies become so lean that many functions that use to be performed by two people are being performed by one. The only emphasis is to get the product out the door and get paid. There is little emphasis on the quality of the measuring instruments being used in the production process. If there isn’t a problem…. it doesn’t exist. Whenever one person is doing the work of two, certain aspects of the job isn’t getting done. One of the first functions I see being overlooked is the maintenance and calibration of the gages being used. Just as important there has been a reduction of knowledge in the quality department in determining which gages should be used for which applications and how to properly calibrate the instruments needed. Which will ultimately affect the quality of product. It has been a record year for recalls in the automotive industry and we have only touched the surface. Most manufacturers don’t consider it an issue until the defect is so apparent that the damage is already done. I’m sure you have bought products in your personal life that just aren’t’ as good as they use to be and there is no alternative product to buy. This is most likely because the company that made the product that you liked is out of business or had to change how they made it in order to stay in business. It’s not that people are getting lazy. The issue is that there is only so much one person can do in a given time frame. And if the knowledgeable people that maintained the gages in the past are retired and the next generation isn’t trained, who will be the gate keeper of the metrology department of tomorrow? To make matters worse, we now have to ask the question of where will the next generation get their training? There are fewer real specialists meeting the needs of companies who have become sloppy in their production and measurement processes. Look for instance at what’s happened in companies that have pushed exact measurement to the back burner. The basic idea of using the right gage for the calibration is too often being overlooked. Let me share a simple example. Most companies have gage pin sets in their QC Lab. Recently I was in a customer’s QC Lab when an engineer walked in looking for one. I watched him walk over and remove a pin from a set to test the hole size of a part that he was holding. He made a few measurements to try to find the gage pin that was the best fit. After not getting the results he expected and looking a little confused, I had to ask him if I could help in any way. He answered that he was having a dispute with a company he was supplying. He was convinced that the part he made was in tolerance. His customer was saying it was not. I asked him for the tolerance of the diameter in question. He responded with the answer that the hole size is .197” ±.0002”. I then asked him what the grade of the gage pin he was using was and he had no idea. I always find it interesting when somebody is trying to measure something with a gage, even though they don’t even know what the accuracy of the gage they are using is. This happens way too often today. In order to understand if you are using the proper measuring equipment, you need to do a little investigation. First, you need to know the accuracy of the gage, the repeatability of the gage and most importantly, the measurement uncertainty of the number the gage is reporting. Secondly, If you don’t have this, you don’t know if you have the correct gage for your application. A little further investigation showed the accuracy of the gage pin he was using was more than 50% of the tolerance of the part he was checking. Which means for the most part he was just guessing, which would have allowed him to reject good parts and also accept bad parts at any given time. The thought of roundness of the gage wasn’t even taken into consideration. Obviously or not so obviously there are better instruments to use other than a gage pin for this application. Because of this lack of knowledge and lack of commitment to training in recent years, this is not an isolated situation. This has, in fact, become a common theme. I have even seen companies eliminate their quality departments altogether. Instead, they assign the responsibility over to the engineering department and expect overworked engineers to maintain the calibration and metrology laboratories and continue to do their own job. Yes it is truly a perfect storm in the metrology field. Increase in use of low cost labor with little or no experience. So who loses here? Well, you can see victims all the way down the line, from the guy who makes the part to the person who measures the part all the way to the consumer whose product doesn’t work properly or wears out prematurely. The end manufacturer loses customers and as a result the company which made the faulty part loses their supplier position. Unfortunately this all leads back to my original point. We need people in the measurement industry who truly know what they’re doing and they can’t be found anymore. If U.S. industry put an emphasis back on quality (which if you believe their advertising, is supposed to be a priority) and making sure we are training new people whose business it is to be exact and measured – we might find that we can lead the world again in producing products we can be proud of. But striving to do this and finding the people with the capability to make it happen – are two very different things. Based on where the metrology and measurement profession has gone – it’s now apparently solely up to our generation to pass the baton to the next. I’m just not sure where I’m going to find the time – or the people willing to learn. Here’s another interesting take on the Quality crisis in the U.S.